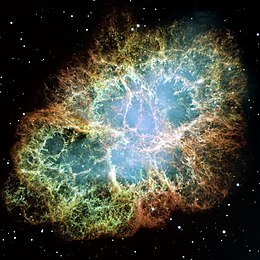 ↑ "The Crab Nebula: An Astrophysical Chimera" (2008). Annual Review of Astronomy and Astrophysics 46: 127–155. doi:10.1146/annurev.astro.45.051806.110608. Bibcode: 2008ARA&A..46..127H.